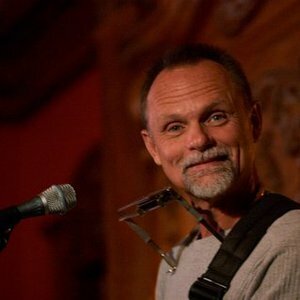 Jonathan Edwards (born July 28, 1946, in Minneapolis, Minnesota, USA) is an artist, musician, folk singer, songwriter and performer, perhaps best known for his crossover folk singles "Sunshine" and "Shanty". With fellow student musician, Malcolm McKinney, he formed the eclectic rock band St James Doorknob. Later, Edwards and McKinney met guitarist and blues harp player, Joe Dolce, and formed a band that was to become the most popular blues-rock band in Southern Ohio, The Headstone Circus (later to change its name to Sugar Creek in 1967, after recording its only album, Please Tell a Friend. With fellow student musician, Malcolm McKinney, he formed the eclectic rock band St James Doorknob. Later, Edwards and McKinney met guitarist and blues harp player, Joe Dolce, and formed a band that was to become the most popular blues-rock band in Southern Ohio, The Headstone Circus (later to change its name to Sugar Creek in 1967, after recording its only album, Please Tell a Friend.) Shortly afterwards, Edwards left the band to do solo acoustic music. He recorded "Sunshine" after having accidentally erased another song intended for a solo self-titled album. "Sunshine" ultimately became a Billboard #4 pop hit during the early-1970s period of anti-war protests and rejection of authority. After taking a turn into mainstream country music, Edwards left the business and moved to Nova Scotia, where he bought a farm. By 1976, however, he was back in the music scene, singing backup on Emmylou Harris's second album, Elite Hotel. After three more solo albums and another break, he joined bluegrass band The Seldom Scene, recording a single album with them before trying his hand at children's music with Little Hands. Returning to country music in 1989, he released The Natural Thing, which provided his biggest country hit to date, "We Need to Be Locked Away". He continues to record albums and, as of June 2007, is still touring. He has also produced albums for Cheryl Wheeler. Note that "Jonathan Edwards" is also an alias used by Paul Weston when recording (with his wife, Jo Stafford, as "Darlene Edwards") novelty records. See Jonathan & Darlene Edwards.